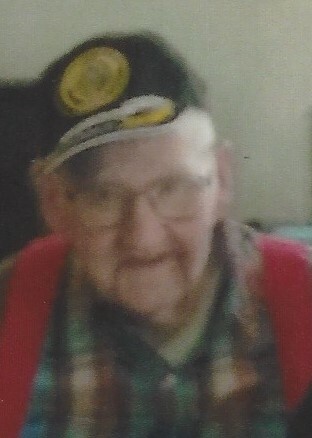 Robert Earl Pickel, 91, passed away on Monday, April 1, 2019. He was born in Bristol, TN, son of the late Calvin and Ruby Pickel. In addition to his parents, he was preceded in death by his daughter, Arlene O'Neal; two grandsons, Bill Braly and Thomas Laventure; and a granddaughter, Rebecca White. He is survived by his wife, Sandra Lewis Pickel; his children, Sandra Braly and husband, Kelvin and Elaine Cochran; step-children, Matthew Griffin and wife, Kelli, Tonya Olencki and her husband, Barbara Diego and her husband, Domingo and Angie Davis and her husband, Kenny; his grandchildren, Daniel, Nicole, Chris, Tracy and David. A service to celebrate the life of Mr. Pickel will be held at 12:00 pm on Saturday, April 6, 2019 at the Woodlawn Chapel of Woodlawn Funeral Home, Mount Holly. The family will receive friends from 10:00 am until 12:00 pm on Saturday at the funeral home. Condolence messages may be sent to the family by visiting www.woodlawnfuneral.org.